"Great Location - only minutes from 404 & 401 "
This freshly painted One Bedroom Suite has nice hardwood floors and presents an opportunity to live in a well-maintained building featuring an outdoor pool & playground, on-site daycare and an excellent building staff. Located just minutes from the 404 & 401 and on the TTC bus route, 20 Chichester Place is sure to impress. Call us today at 416.496.0527 to book your showing! 20 Chichester Place features Jr.1, 2 & 3 Bedroom Apartments. This very well maintained building offers residents hardwood flooring, an outdoor pool & playground, on-site daycare and an excellent building staff. Located just minutes from the 404 & 401 and on the TTC bus route, 20 Chichester Place is sure to impress. 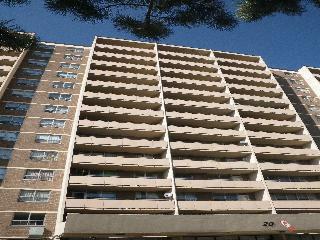 Call us today at 416.496.0527 to book your showing!